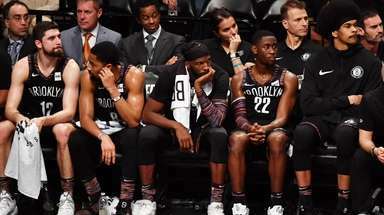 Tyron Woodley retained his welterweight title after winning a majority draw with Stephen Thompson on the main card at UFC 205 on Saturday at Madison Square Garden. 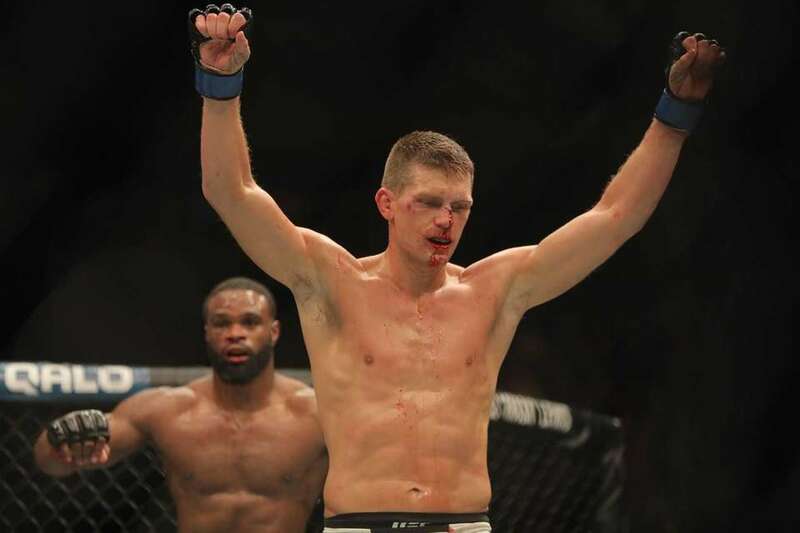 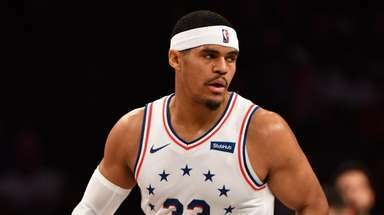 The UFC 205 bout between Stephen Thompson and welterweight champion Tyron Woodley ended in a majority draw at Madison Square Garden on Nov. 12, 2016. 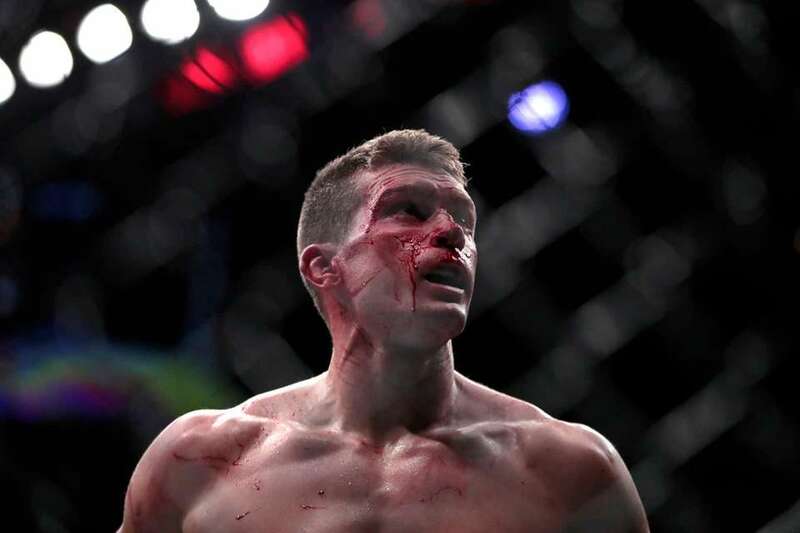 The UFC 205 bout between Stephen Thompson and welterweight champion Tyron Woodley ended in a draw at Madison Square Garden on Nov. 12, 2016, but Woodley retained his title belt. 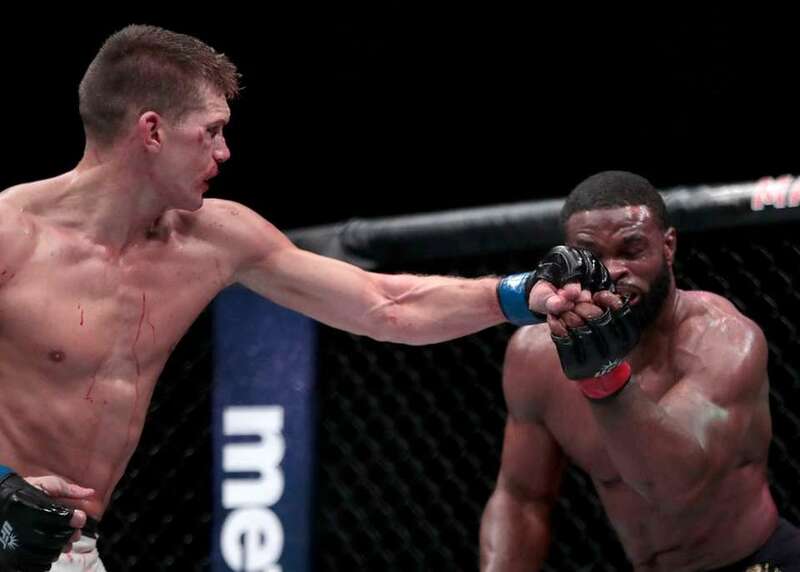 Stephen Thompson, left, connects with Tyron Woodley during a welterweight title mixed martial arts bout at UFC 205, early Sunday, Nov. 13, 2016, at Madison Square Garden. 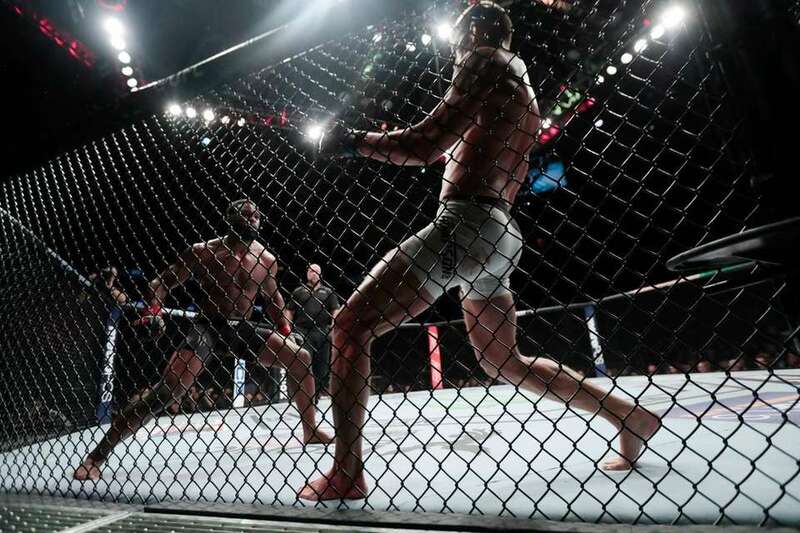 Tyron Woodley, top, fights Stephen Thompson during a welterweight title mixed martial arts bout at UFC 205, early Sunday, Nov. 13, 2016, at Madison Square Garden. 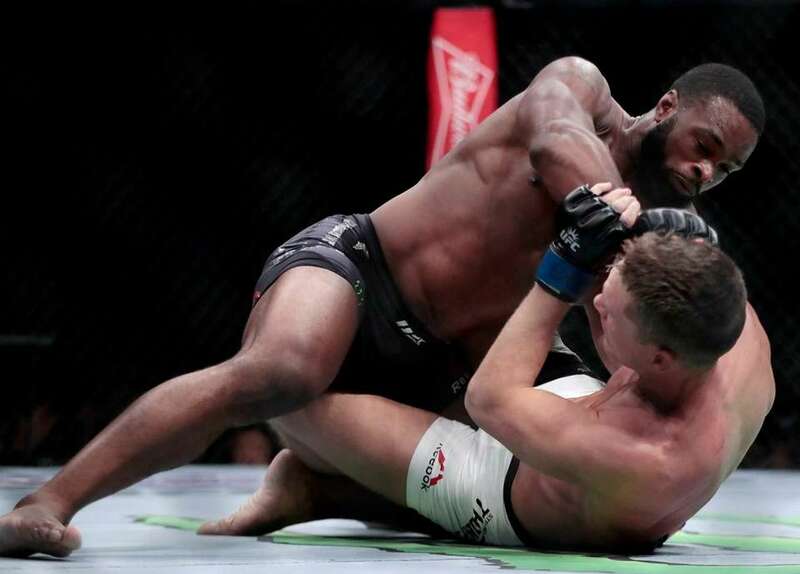 Tyron Woodley, left, fights Stephen Thompson during a welterweight title mixed martial arts bout at UFC 205, early Sunday, Nov. 13, 2016, at Madison Square Garden. 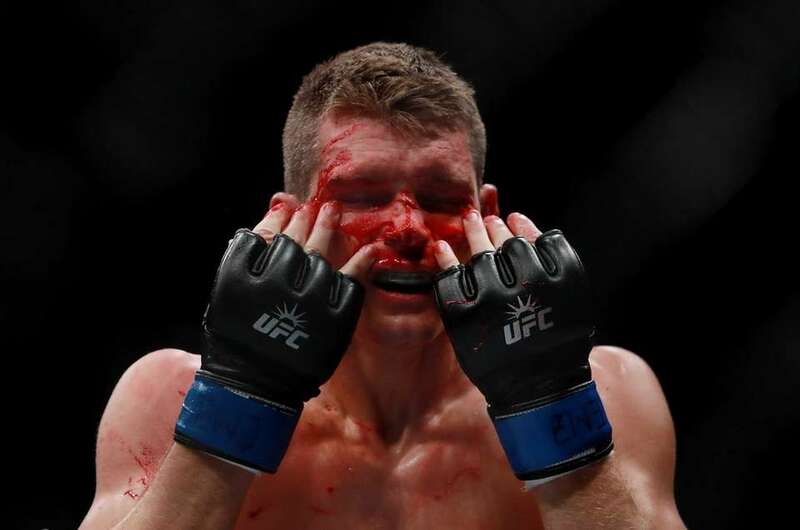 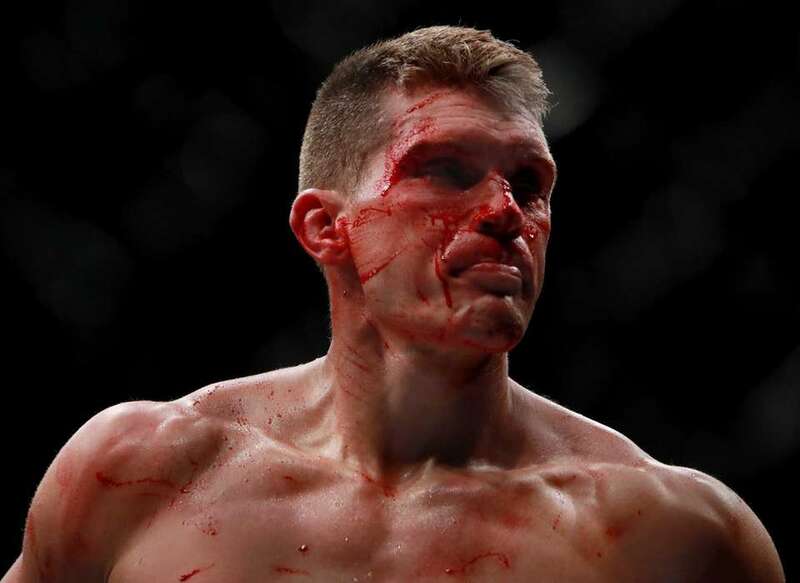 Stephen Thompson is bloodied while fighting with Tyron Woodley during a welterweight title mixed martial arts bout at UFC 205, early Sunday, Nov. 13, 2016, at Madison Square Garden. 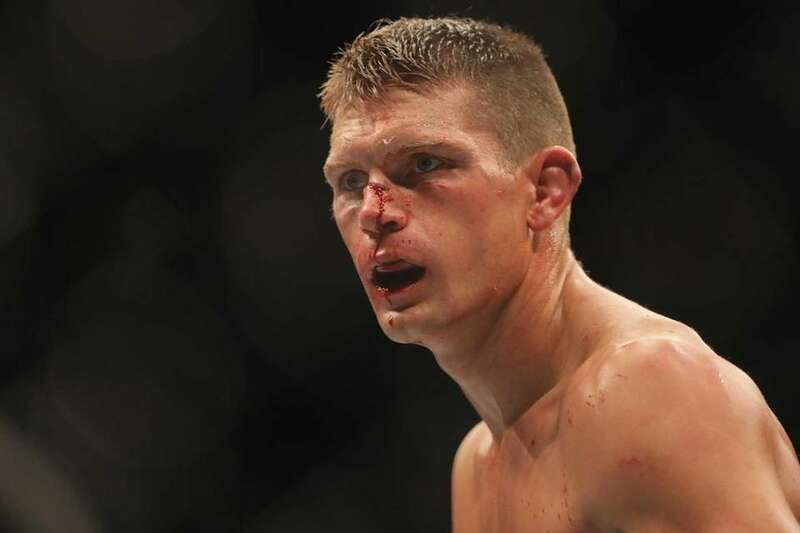 Stephen Thompson of the United States reacts against Tyron Woodley of the United States in their welterweight championship bout during the UFC 205 event at Madison Square Garden on Nov. 12, 2016. 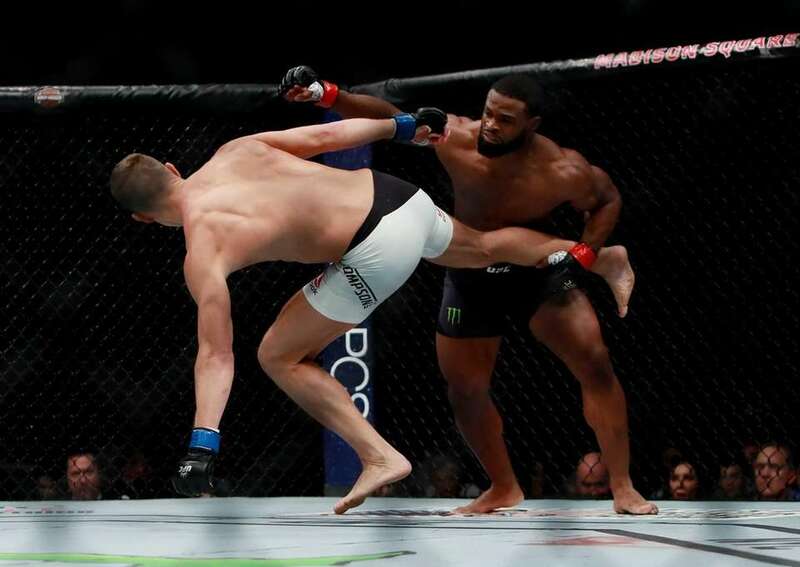 Tyron Woodley of the United States (left) fights against Stephen Thompson of the United States in their welterweight championship bout during the UFC 205 event at Madison Square Garden on Nov. 12, 2016. 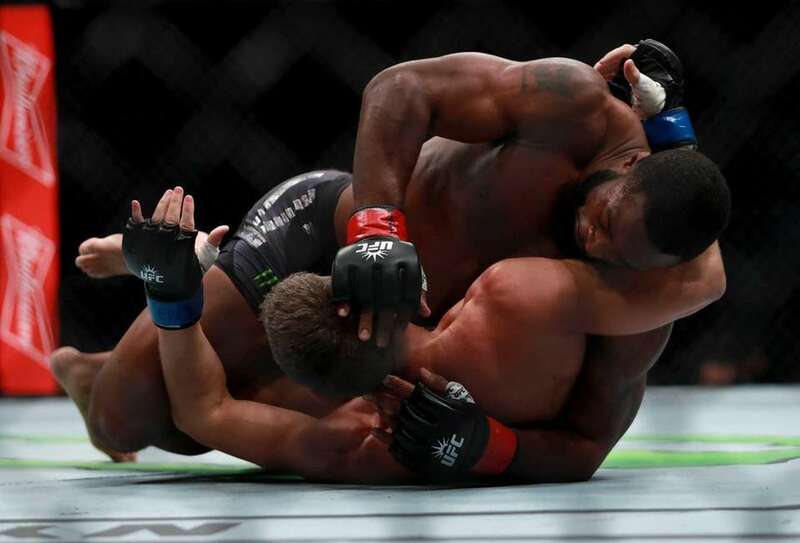 Tyron Woodley of the United States (bottom) fights against Stephen Thompson of the United States in their welterweight championship bout during the UFC 205 event at Madison Square Garden on Nov. 12, 2016.